Cherry Mobile is launching Celltick’s Start technology across their complete range of devices to provide industry-leading interface to millions of consumers. Celltick, a global leader in mobile initiated commerce, today announced its partnership with Cherry Mobile, a leading mobile phone company in the Philippines, to launch an intelligent interface for Android consumers based on Start. Celltick’s Start interface will be embedded on more than 20 of Cherry Mobile’s newest devices and rolled out to more than 500,000 Android-based users. Celltick’s Start is a next-generation, intelligent Android interface, providing personalized functionality so Android users can get what they need from the first screen of their phone. With Start, users have quick access to what matters most. Start’s recommendation engine learns and adapts the start screen based on big data technology and uses collaborative filtering to individualize the initial configuration, as well as offer ongoing recommendations based on user behavior. Celltick provides device manufacturers, like Cherry Mobile, with an effective means of maintaining customer relationships past the point of sale to help create new lines of revenue as well as encourage brand loyalty. The growing Start ecosystem includes hundreds of themes and plug-ins available for download from Google Play. With this partnership, Celltick continues to expand its reach and making Start a widely accepted intelligent interface for Android devices. In 2013, Celltick powered billions of mobile-initiated commerce transactions for virtual and physical goods across 25 countries. 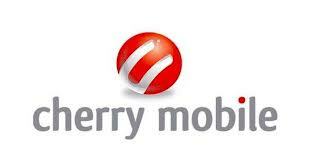 Cherry Mobile’s astonishing rise to prominence has revolutionized the local telecommunications scene through its top-of-the-line and ground-breaking products with true Dual SIM capabilities. What started in 2009 as a mobile phone brand with only four units to showcase has swiftly overtaken its rivals in the entry-level market and is now considered a game changer in the industry. In just a span of three years, Cherry Mobile now carries more than 100 handsets, making it the leading Dual SIM brand in the country. For more information, please visit: http://www.cherrymobile.com.ph. Celltick is a global leader in mobile initiated commerce. Celltick’s Start is a next generation personalized intelligent interface for Android devices. Celltick is unique in creating and managing mass market mobile marketing solutions for mobile operators, large media companies, device manufacturers and large brands. Celltick enables its partners to engage and monetize their users on the mobile. The company drives billions of transactions annually across more than 110 million active consumers across its different mobile platforms in over 25 countries. A rapidly growing company, Celltick has subsidiaries in Europe, Asia, South America and the U.S. For more information, visit http://www.celltick.com.